ヘリが去った後、水野は、1週間ほど仕事をともにしてきた彼らと、エリイが落としたビニール袋を回収した。Chim↑Pom内の格差を国際サイズへと大袈裟にスケールアップさせたこのプロジェクトは、観光地を利用する先進国の姿をゴミに転化した立体作品と、リゾート地の実情を捉えた映像作品として発表した。 Visiting one of the most popular Asian resorts in Bali, Chim↑Pom went to a vast field of piles of garbage called TPA, which is unique to East Asian countries but unknown to tourists, approaching the location from both the sky and the ground. 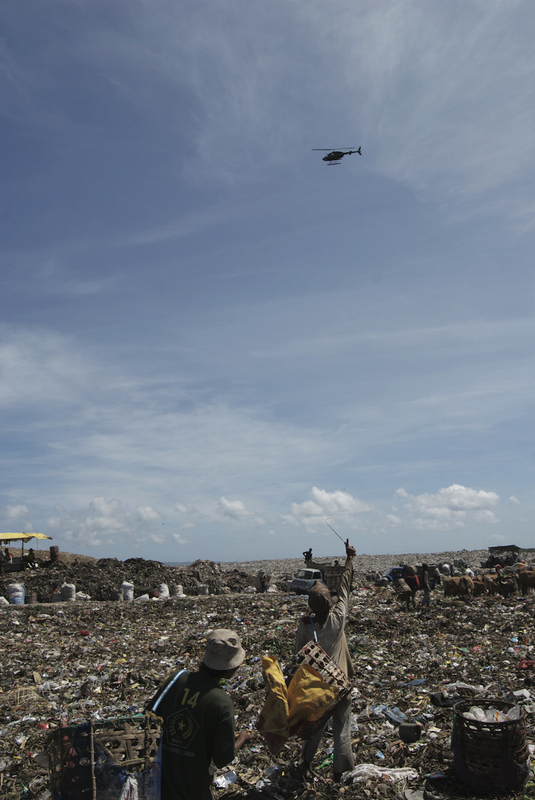 On a tourist helicopter was Ellie having enjoyed a flight over the beautiful ocean, and on the ground was Mizuno having come there by hitch-hiking on garbage trucks. 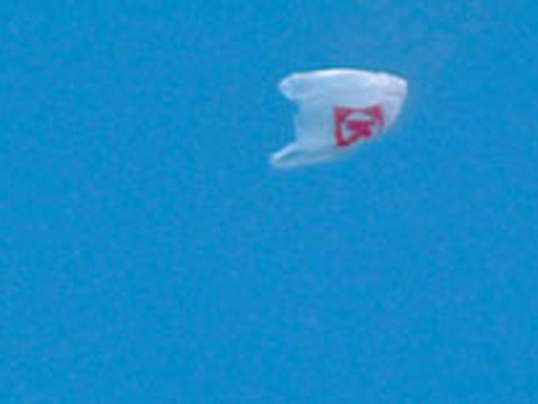 They both enjoyed a short meeting from the sky and the ground by waving their hands at each other, and Ellie threw away a plastic bag from the helicopter onto the garbage mountains. After the helicopter flew away, Mizuno collected the plastic bag with people whom he had worked together with in TPA and on the way there. 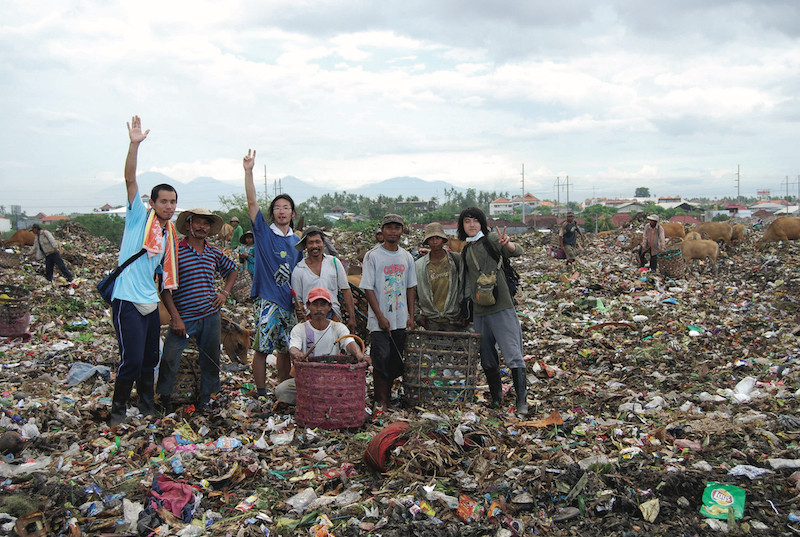 Those people earn money to live on by selling plastic bags picked out from the vast garbage mountains. Chim↑Pom bought a large amount of garbage from them, including the plastic bag Ellie threw away, then exhibited it at galleries in Indonesia and Japan. 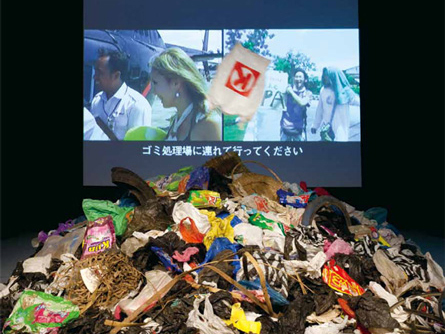 The project showed a gap among Chim↑Pom in an exaggerated way to compare it to the world wide scale, with an installation work that uses garbage as the figure of developed countries and a video that captures actualities in the resort site.